Dell has been aggressively peppering both the digital and print media with its enterprise storage campaign “running circles around everyone else”. It has reason to do so. Dell has come a long way from a dorm in Austin, TX to the corporate offices and consumer households globally. And Dell is doing all it can to take its channel partners, which are Dell’s extended sales and deployment team, along a fraught put potentially rewarding journey. Dell’s channel momentum has not yet peaked. Q3 YoY channel order revenue grew by 21% as compared to 14% YoY reported in Q1. Distribution remains one of Dell’s fastest growing routes to market, having 19% Y/Y growth in Q3 (same as Q1) and through three quarters, accounting for roughly 40% of Dell’s overall channel mix. In early 2018 Dell had set a target of reaching US$50 billion in channel revenue and by end of 2018 it was at US$49B in orders (pending Q4 financial results). It has now set its sight at US$70B, timeframe as yet unknown. Regardless of the success achieved, Dell continues to modify its partner program. Actually, it can be argued that continuous tinkering with the program has helped Dell to drive channel partner growth. While the core tenets of Simple, Profitable, Predictable remain, in February 2019 Dell has added three imperatives: 1/ making it easier for partners to do more business with Dell, 2/ fast-tracking partners’ ability to deliver transformational solutions, 3/ embracing and monetizing emerging technologies. 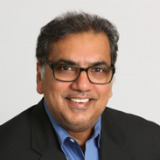 Is Dell being very smart in using financial incentives’ levers to drive quarterly growth and revenue share and missing out on long-term transformation of its channel partners to efficiently participate in multi-cloud, connected business future? Is Dell focusing on the end zone without regard for down and distance? Let us analyze. A Techaisle survey of nearly 900 midmarket firms in the US found that 42% believe that digital transformation is a key to employee empowerment. In an era where employees are expected to move fluidly across a wide range of tasks – and where staffers and contractors expect to be able to work at any time, from any location, with access to any data source they might require – employee empowerment is a key factor in driving corporate responsiveness, staff recruitment and retention and bottom-line success. No wonder improving workforce productivity is #1 in the list of midmarket business priorities. Digital transformation offers a path to translating the promise of core technologies, such as mobility and cloud, into new empowerment and process options, via the creation of a connected workplace where applications and collaboration systems seamlessly connect to the anytime/anywhere/anyplace/any data demands of the modern workforce. And this digital transformation evolution leads in turn to realization of the other top issues shown above: reduced cost, increased profitability and growth, and better processes and customer outcomes. It is important that the channel step up to helping clients to build digital transformation strategies – because midmarket firms are struggling with a wide range of challenges that impede the evolution to an empowered workforce. From a workforce perspective, digital transformation demands change within both IT and the workforce as a whole. The key digital transformation challenges identified by midmarket firms – are lack of skills, a risk-averse culture and lack of adequate technology to support digitization initiatives. The third of these issues, adequate technology, is often a digital transformation stumbling block for midmarket IT organizations. The digital transformation vision for employee empowerment includes self-service access to needed applications and data; the reality of many IT shops includes an inability to integrate data across different systems and to deliver it securely on an any place/any device/any application basis, and a mobility strategy that falls short of corporate requirements for security and data protection, auditability and disaster recovery. The second issue, a risk-averse culture, extends beyond IT to executives who have not yet grasped the potential benefits associated with digital transformation – or, in the context of a fast-moving economy, the need for change. In some cases, this may simply reflect a desire to continue with ‘business as usual,’ while in others, it may stem from an inability to see how their firms can bridge the gap from their current reality to a brighter digital transformation future. The top issue, lack of skills, is one that needs to be addressed by the channel. It will be years – possibly, decades – before digital transformation skills are so common that every midmarket firm has depth in both IT and in the workforce at large. Until that time, the channel needs to provide leadership to its midmarket clients: it needs to deliver the IT skills and guidance needed to evolve core technology to the point where it supports digital-transformation-ready connected solutions, and it needs to provide the advice that business leaders need, in order to understand and capitalize on the many business benefits that are gained from employee empowerment. Laozi once said that “the journey of a thousand miles begins with one step”. With respect, though, he was not correct: a long and complex journey begins with a vision, and a plan, and proceeds to the steps along the path. What does this mean to growth-focused channel members looking to help clients to ‘bridge the gap’ to employee empowerment? From a skills perspective, midmarket firms need access to professionals who can define the path from basic IT potential to real business benefit – and will find that guidance in the channel, from firms that have themselves made the leap into the digital transformation (DX) future. Employee empowerment begins with a vision – and a plan. Midmarket clients urgently need advisors who can deliver both – and the business benefits that are unlocked by DX-empowered employees. Senior executives in midmarket organizations care about digital transformation – and as a result, channel members can leverage their understanding of key Digital transformation objectives and roadmaps into long-term, sustainable relationships with senior decision makers. IBM’s acquisition of Red Hat makes sense on several levels: it adds a high-growth software portfolio to boost software and recurring revenue, and provides IBM with a bit of a ‘halo’ in the tech community, as it now controls the industry’s leading Open Source supplier. Who does this matter to? Imagine you are an enterprise with a large legacy infrastructure, possibly in a regulated industry (like financial services or government). You see that IT service delivery is advancing faster outside your walls than within your firm, as other businesses aggressively adopt cloud, Agile, DevOps and containers. You are motivated to try to integrate these advanced platforms/products/methodologies into your environment as well – to capitalize on the advantages that they can deliver, or because you’re afraid that if you don’t act you’ll be left behind, watching competitors introduce new IT-enabled capabilities faster and at lower cost than you can. In an organization like this, IT executives are unlikely to want to dive headlong into a deep/committed relationship with a public cloud provider like AWS. They will understand the importance of building a multi-cloud, hybrid IT infrastructure, but will want to manage that environment internally, with a focus on existing capabilities (both installed products and skills). “Cloud first” won’t be a living mandate – it might describe an approach to new and non-critical applications, but won’t be a serious consideration for core systems of record. What is the state of channel? What does the channel offer? Where does the channel land on digital transformation, orchestration & integration? What does the channel want from vendors & distributors? How does the channel sell? What is channel doing in the cloud? What is channel doing in managed services? What data center solutions is the channel selling? Partners continue to be challenged by the wrenching, organization-wide change that cloud demands at all levels of the organization. Cloud is forcing new metrics and disciplines on management, which has historically worked to maintain sustainable per-deal margins on individual current transactions. It is requiring sales staff to sell differently – stressing recurring-revenue, OPEX-heavy ‘pay as you go’ contracts over larger one-time product transactions – and it is requiring sales management to compensate staff differently. Finance is dealing with a far more complex set of cash management requirements and is also needing to understand the valuation impact of different revenue recognition approaches. In the cloud, marketing’s role is becoming larger, and its tools much more sophisticated; it is almost literally a different (and much higher value) activity in cloud than in conventional channel businesses. Even technical skills requirements are changing, as channel delivery staff is evolving from ‘just in case’ knowledge (often, recognized through certifications) to ‘just in time’ skills acquisition that responds to the rapidly-changing environment. Clearly, cloud is imposing a daunting challenge on the channel. Techaisle data sees that some partners are working through this transition, but many, especially in markets where cloud has not caused large year-over-year decreases in product sales, are navigating a path that doesn’t include top-to-bottom change. These firms will be under intense pressure as the market increasingly demands that partners support migration to and efficient use of hybrid infrastructure. Managed services, with its efficient delivery and promise of higher margins and better enterprise values (due to MRR rather than transactional revenue) has become a major factor in channel business strategy. MSPs can increase shareholder returns without needing to meaningfully expand their customer rosters; they can invest in internal efficiencies to boost margins while simultaneously keeping pace with customer expectations, even in areas like managed security, where threat sources advance continuously, driving need for increased response capabilities. But there are clouds on the managed services horizon. One is digital transformation, “the next big wave” which aligns poorly with managed services. Digital transformation requires a mix of on-site and remotely-managed capabilities, packaged discretely for individual customers – and this isn’t what managed service providers aspire to. At the same time, the push towards everything-as-a-Service is morphing into SMB customer expectation of increasing service levels over time (or decreasing costs), rather than the fixed value for static service level approach used by today’s MSPs (and IaaS suppliers as well). Can traditional MSPs move past the core business notion of one service, one price, delivered with high efficiency from a remote location, to address digital transformation and progressive service delivery expectations? In fact, most are going back to on-site installation & support. Data center technologies are another source of challenge for partners. Data center products – especially converged and hyperconverged systems that combine server, storage, networking and virtualization technologies – are much more complex than the client and server technologies that many channel members have focused on in the past. Typical “one stop shop” VARs are lacking the technical depth needed to work with contemporary data center products. Specializations in current solutions take time, cost money and require skilled staff who is usually not affordable for – or even available to – channel members. But data also shows that VARs have the maximum depth in digital transformation and are involved in orchestration. The nature of integration is changing. In an environment where core resources are located in many different physical environments, “systems” integration is becoming less a matter of physical connections and more an issue of automation and orchestration, which call for a distinctly different skill set. Meanwhile, customer interest in a multi-platform world is centering on data rather than systems integration: how can dispersed systems exchange data, securely and with the low latency needed to support workloads that span different environments? The issue of integration is becoming more complex as businesses embrace IoT to provide a far more detailed view of their markets, and AI to make sense of the vastly-increased base or evidence that is used to support ever-more-rapid decisions. And demands on technology suppliers have already deepened with the need to secure these multiple platforms and sources. Integration offers an enormous opportunity for the channel – but this opportunity is accompanied by a demanding set of requirements. Beyond all of the technology-driven change that the channel is adapting to, there is a shift in how customers are acquiring IT solutions. SaaS has shown buyers that they can acquire IT capabilities that map directly to business needs – they no longer need to take on the risk and uncertain time-to-benefit inherent in the purchase, integration and deployment of building-block technologies. At the same time, IT budget authority continues to migrate from IT gatekeeps to business managers who view technology as a means to achievement of process objectives, rather than as an end in itself. Both trends affect for channel sales and marketing professionals: within client organizations, the key customers are often non-IT professionals who are looking for suppliers to respond to business pain points with approaches that directly address the business requirements, rather than with traditional product-centric ‘some assembly required’ solutions targeted at IT buyers. The ability to talk credibly to business outcomes vs. technology issues has become the key to selling solutions in today’s market. Most vendors lack business-savvy sales staff – the issue is even more acute in channel firms. Cloud startups often speak to business rather than IT issues (and clients). Can the traditional channel keep pace – at least, enough to prevent services leakage to born-in-the-cloud alternatives? In the report, Techaisle research demonstrates how channel partners are positioning their firms to navigate this turbulent environment. There may never have been a more stressful time to manage a channel business than 2018 – but channel managers have proven through time that they are adept at finding profitable paths through even the choppiest waters.